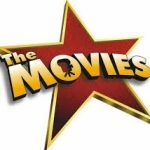 From December through February is the time of year I love best because there are so many substantial films out in theatres, be they Hollywood, Indie or Foreign films. This year especially has brought us so many terrific movies such as Manchester by the Sea, La La Land, Moonlight, Lion and 20th Century Women. All of these films have been nominated for Best Picture, except 20th Century Women, which was my favorite film of the year. I was fascinated with all the catchy, get me up dance numbers in La La Land. I thought it captured the essence of the beginning of a relationship, when two people first fall in love. Lion is so emotionally harrowing, but captivating at the same time. Dev Patel portrays grown up Saroo so well and has justly been nominated for Best Supporting Actor for his role in it. Manchester by the Sea is a spectacular, but serious, family film that is very relatable because of its teen protagonist. This film is the flat-out truth about how horrible or exciting life can really be. It doesn’t pull any punches. It just tells an honest story about a dysfunctional family. 20th Century Women is a hip, pop and lock sort of punk rock movie that young teens will love. I am very surprised that it was not nominated for Best Picture. Out of the nine Best Picture nominations, I have only seen three. I plan to see many more over the next few weeks before the Oscars. I meant to see Moonlight for the past two months, but the subject matter seems so intense. I also look forward to seeing Hidden Figures. The trailer makes it seem like an important feminist take on the moon landing. Everybody seems to love Arrival, but I usually don’t enjoy alien movies. This one sounds rather interesting, since it’s about a linguist trying to decipher the Alien language. I have seen three out of the five films up for Best Animated Feature: Kubo and the Two Strings, The Red Turtle and Zootopia. The two that I haven’t seen are Moana and My Life as a Zucchini. My Life as a Zucchini is a great “title.” It’s the premiere film this year at the New York International Children’s Film Festival, so I will probably see it there. I believe Kubo is the most creative and enchanting film up for the award. Can’t wait to see who wins the Oscars for all of these. Until then, I’ll just keep judging and guessing. Fences is the story about an African-American father struggling with race relations in the United States while trying to raise his family in the 1950s and coming to terms with the events of his life. KIDS FIRST! juror Juanita Seon Leary comments, “Adapted from the stage play by August Wilson (who also writes the screenplay), it lives up to its award- winning status.” See her full review below. I saw Fences as a play with James Earl Jones years ago and was very anxious and looking forward to seeing the filmed version. Adapted from the stage play by August Wilson (who also writes the screenplay), it lives up to its award- winning status. I am a fan of both Denzel Washington and Viola Davis who star in this film. Throughout the film, we see life through the eyes of Troy (Denzel Washington) an African American man struggling with issues of race and economics and all the events of his life. He lives with his family in Pittsburgh, Pennsylvania in the 1950s. Fences opens with Troy and Bono (Steven Henderson) riding on the garbage truck. As they work, they talk about the inequality of their jobs. Troy questions why “a black man cannot drive the truck”? He asks the question to his supervisor who is a white man and is facing possible firing. so it is thought. Troy and Bono arrive at Troy’s house and we begin to learn about a fence. It is Friday and payday. We see Troy and Bono sharing a bottle of liquor. Troy tells stories and his wife Rose (Viola Davis) sits on porch and interacts to keep Troy honest. We learn about Troy’s past, his excellent skills in baseball, time he served in jail and how he met Rose. The film has excellent scenes that let us feel and see the streets of Pittsburgh. The main center of action is the backyard. There is a baseball on a string and Troy’s baseball bat. Rose asks Troy to build her a fence. At one point, Bono speaks to Troy about fences. 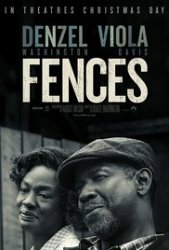 “Fences are built to keep something or someone out or to keep something or someone in.” He lets Troy know that Rose wants to keep him and their son Cory (Jovan Adepo) inside. In Fences, we see the relationship and interaction of a father with his sons. His older son, Lyons (Russell Hornsby) comes by on paydays to ask for a loan and his younger son Cory wants to play football to attend college. Fences is excellent and has many lessons and messages. Because of the language and suggestive references, I recommend it for ages 14 to 18 and believe that many adults will enjoy it also. I give it 5 out of 5 stars. It opens on December 25, 2016 so be sure to check it out. You are currently browsing the KIDS FIRST! Jury Blog weblog archives for January, 2017.